Garage doors are one of the best investments you can make as a homeowner. Garage doors in Salt Lake City return over 87% of your investment. They improve your home’s energy efficiency, add value to your home, and boost your curb appeal. Precision Garage Door of Salt Lake can help you find the perfect door to replace your old one and we will professionally install it. Whether you prefer a traditional, carriage house, or contemporary style door, we can take your garage door from functional to fashionable. 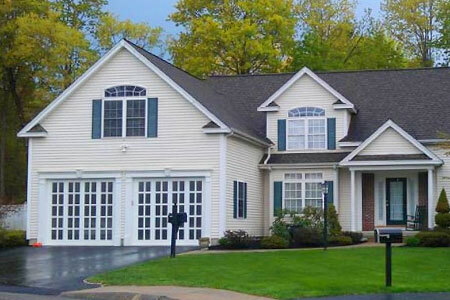 We will help you find the right material, color, window, and trim package to fit your budget. We can offer any style of brand you desire. Moreover, we haul away and recycle your old garage door. Learn more below about the benefits of replacing your door. Studies show replacing a garage door has a high return on investment for homeowners. Whether you are preparing to sell your home in Seattle or not, a garage door can also set your home apart from others in the neighborhood. Does your garage door match the style of your home? 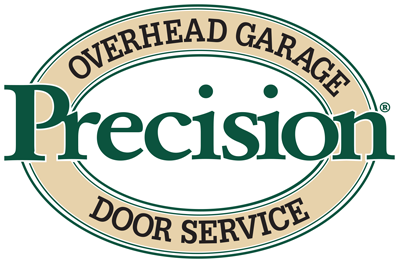 Precision Garage Door of Salt Lake is a premier garage door replacement and repair company based in the Salt Lake area. We serve all who live along the Wasatch front. We love the uniqueness of this area and enjoy helping our clients determine which garage door type is best for their needs, style, and budget. From materials to style, we will walk you through the entire process. Steel: Heavy-duty steel is the most popular material because it is durable, inexpensive, and low maintenance. You can choose steel in a wide variety of colors to match your home’s exterior décor. Steel garage doors come in single-layer, double-layer, and triple-layer. The double layer offers an additional vinyl-coated layer for insulation and quieter operation. The triple layer is the ultimate in energy efficiency and noise reduction, and is perfect for Salt Lake City winters. Custom wood: Do you love the beauty of natural wood? 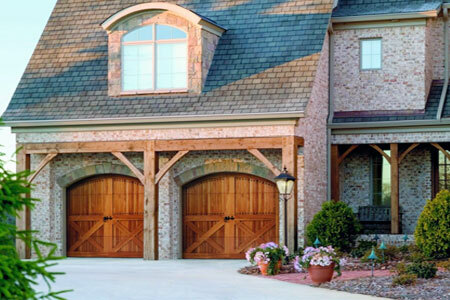 Our real wood garage doors come in a multitude of styles and they are commonly made from hemlock, cedar, and mahogany. They are more expensive and require more maintenance, but they are worth it if you love beautiful wood. Vinyl:Vinyl doors are another popular option because they are durable and low maintenance. However, they are available in limited colors and you cannot easily paint them. They cost a little more than steel. Glass & Aluminum:Glass garage doors have a beautiful and unique style. We offer framed glass doors in many styles and colors to match your home. Durable frames reinforce the glass doors against weather and require little maintenance. Ask us about insulated glass. You can choose a garage door style to fit your personal preference. We have a huge selection of doors to reflect your personality and your home’s style. You can match your garage door to the architectural style of your home and neighborhood in order to enhance curb appeal. Here are a few popular options. This popular style features several types of panels, including raised, elongated ranch style, or a flush style. You can also choose from a variety of window designs and glass options. This retro style is back! It is increasingly popular and widely available in updated looks. Flush panel doors have flat, slightly textured sections to complement the surrounding walls and blend in seamlessly. Carriage house doors are growing in popularity because they dramatically change the look of your home and make a unique impression. Known for a rustic or country-style feel, these doors come in every type of material available. We can help you find the style and material to fit your needs. These doors are rarer and add a unique flair to your home’s appearance. They reflect styles from the old world with gorgeous wood, contemporary styles, and artistic designs. We will work with you, your architects, designers, and builders to make your vision a reality. Start working on your garage door transformation today. Call Precision Garage Door Salt Lake to discuss your options and consult with our specialist about your garage doors in Salt Lake!